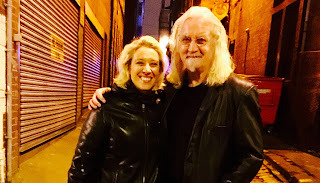 BILLY Connolly was in fine fettle as he met up with his daughter in Scotland - and he claims he's 'busy dusting off his library books' at the moment, if anyone's asking. 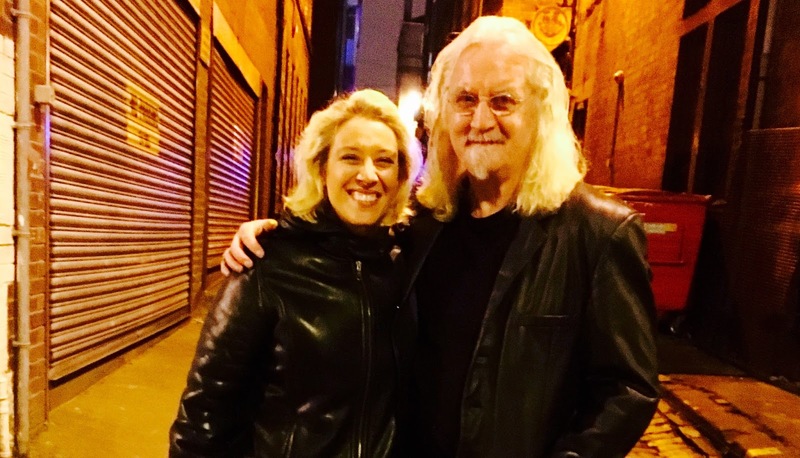 The Big Yin took his daughter out for dinner at Italian restaurant Fratelli Sarti in Glasgow on a flying visit home. Asked if he was up for the Glasgow Comedy Festival, he said no, but he did admit to liking fellow comedian Janey Godley's paintings. Billy, who looked relaxed as he strolled out the eaterie, said he was happy to receive his NTA award recently and added with a smile, that he'd put it with the rest of them. He also revealed his famous Billy Connolly voice was inspired by the Partick accent. Billy was not the only celeb hanging around the area. The Irish band Stiff Little Fingers were also in the restaurant filling up their boots before their annual gig at the Barrowlands on March 17.